Some might say diving with sharks is the last thing they would ever want to do...until they do it! 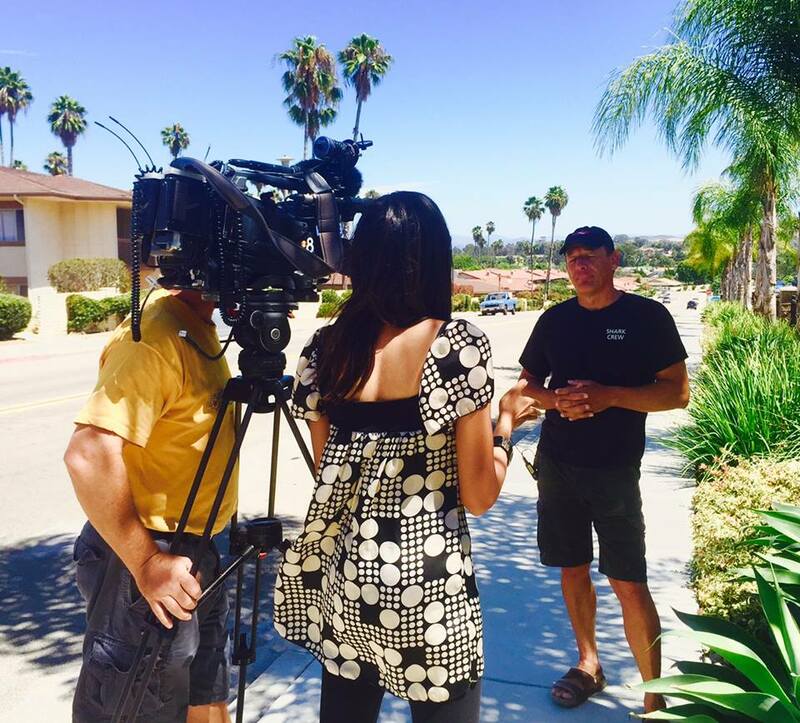 For many, it has become an addiction and more and more repeat divers are getting their yearly thrill with Shark Diver, based out of San Diego. For 14 years, Shark Diver has been introducing the public (those who are dive certified and not certified) to the underwater world of great white sharks. They don't plan to stop. Why? Because people keep coming to get their 'fix.' The shark phenomenon has continued to rise for the last few years, due to local and national television news and social media coverage, cable television programming, and of course, silly movies. 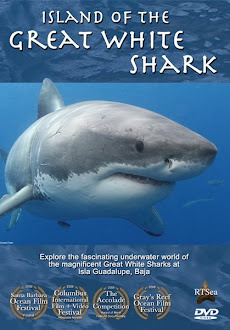 The 'News' has put us in touch with shark sightings off the coasts of Australia, South Africa, the Eastern and Western United States, and Guadalupe Island in Mexico; all right at our fingertips. The more we talk about sharks, the more popular they become. Every year, starting the first week of August, Shark Diver takes more than 200 divers to Guadalupe Island to see these misunderstood creatures, up close. During a 5-day adventure, divers fulfill their bucket list items, unique wedding anniversary or honeymoon celebrations, birthday milestones, or childhood dreams. In 2014, Shark Diver's sold out season saw a record number of divers wanting to see great whites, but it was also one of the biggest years for shark encounters at the cages. Things were only going to grow after that. Already, since the company's first dive this year on August 9th, there have been more than 120 great white shark sightings and it is expected that the same amount, if not more, will be seen by the time the 2015 season ends in November. Shark Diver has worked with the Discovery Channel for some of its Shark Week episodes as well as countless other operations that partner for filming. But the company's greatest passion is to bring those who have never seen a shark...to the sharks, themselves. 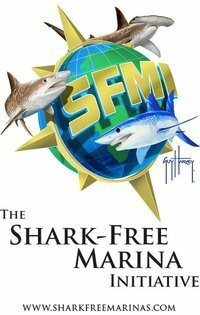 For the past 2 seasons, a researcher from the Marine Conservation Science Institute (MCSI) in San Diego has joined Shark Diver in educating divers about specific markings, migratory habits, and all the fun stuff you don't learn in school or on television. On the hosted adventures, divers have the opportunity to name any new shark that is spotted, while in the cages. 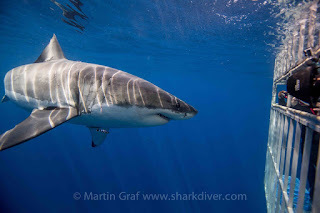 That named shark is then registered in MCSI's photo database, which features more than 150 already identified sharks, such as Bite Face, Shredder, and Bruce. By naming and identifying the new great white, the divers are helping out with MCSI's research; dedicated to conserving and protecting marine resources. Shouldn't naming a shark be on your bucket list? Like other highly feared fish, great whites are unpredictable. There may be curious juveniles that try to bite delicately on the cages, or a large adult that just wants to stroll by slowly to check you out. There is no expecting one behavior or another from these boys and girls. Divers prepare themselves for a scary time, but walk away awe-inspired by what they just witnessed. Every trip reveals something different. When you decide that life is too short to only watch sharks on television, venture out on a dive with Shark Diver. You will see a great white shark while on your trip or the crew will take you back to Guadalupe Island at no extra charge. It is the company's guarantee. Whether or not Shark Diver sees you year after year, there is a good chance you will never view great white sharks the same way, again.